According to the internet (which is always right) You get a Friday the 13th about every 212 days. So, three times in two years. Since it’s the first Friday the 13th of the year, my thoughts are drawn to that 1980s horror staple, the Friday the 13th horror movie series. Unless you’re a serious fan, you probably have nothing more than vague memories of a hockey mask, some cheesy effects and a lot of fake blood. Well I’m here to tell you, your memories are pretty much spot on. 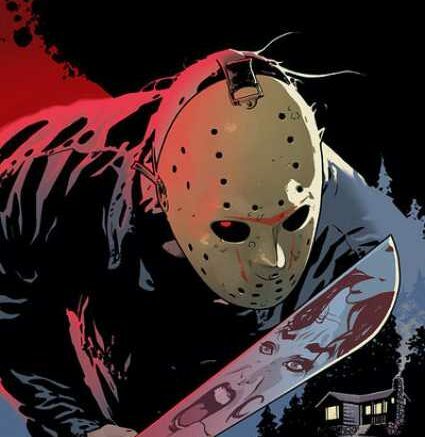 There’s not a huge amount of plot there, but surprisingly there’s enough to create a fairly convincing backstory for the only recurring character, horror badguy Jason Voorhees. In fact, over the 12 films (yes, seriously, 12) there was enough to build a fairly convincing history of the character. And, since this is the internet, you know someone did just that. You’ll never look at Friday the 13th (the movie or the day) quite the same ever again.